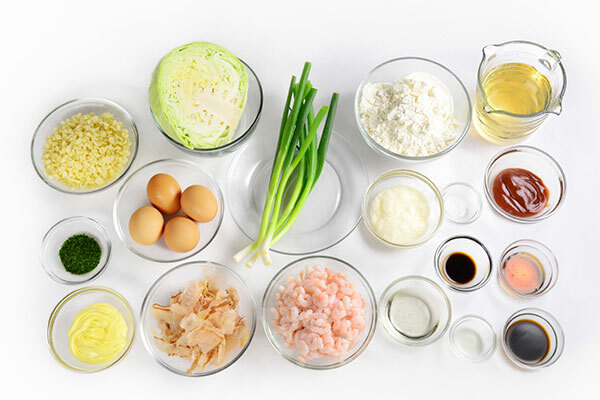 Okonomiyaki comes from combining two Japanese words "okonomi" and "yaki", meaning "as you like it, grilled." As implied, this versatile recipe makes a perfect tabletop cooking recipe - you can almost do no wrong! The ingredients vary by region. 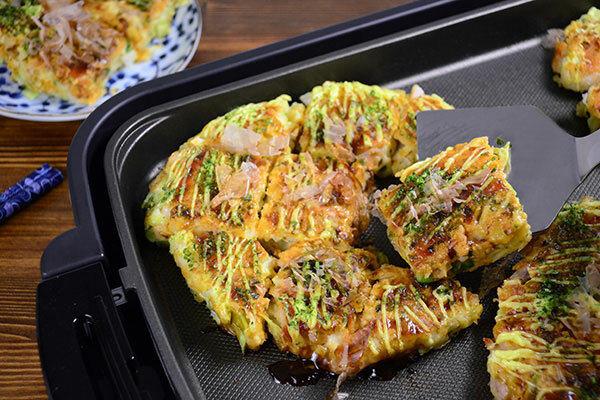 Kansai-style, the most common version, mixes ingredients into the batter before grilling. 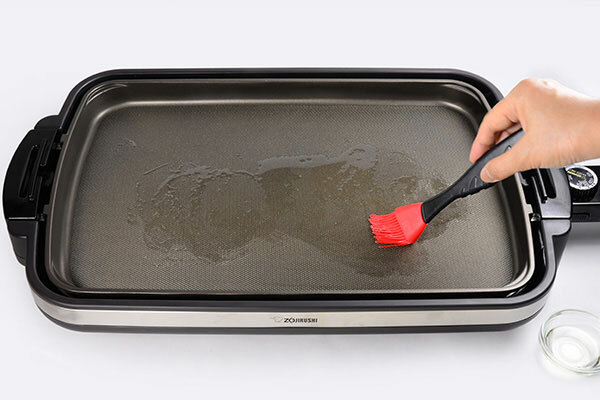 *Please use the stainless steel spatula that came with your product or a silicone spatula to protect the nonstick coating and ensure extended use of the plate. *This recipe was developed for Gourmet Sizzler® Electric Griddle (EA-DCC10). Adjustments may be necessary when using other models. In a small bowl, mix flour, salt, and baking powder, if substituted for nagaimo yam, with a whisk. Add dashi, nagaimo yam or milk if substituted, and whisk gently until just combined. Refrigerate for 30 minutes to 3 hours. 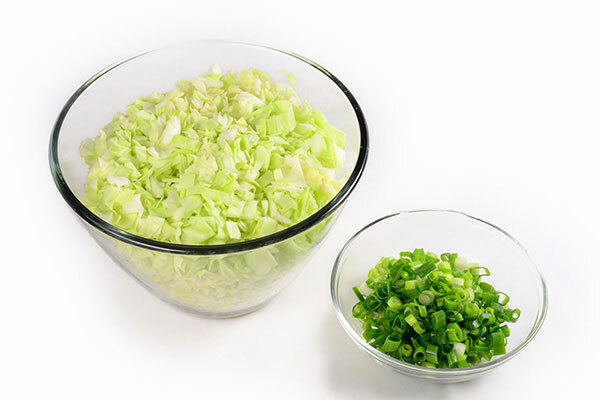 Roughly mince cabbage, cut green onions into small pieces. 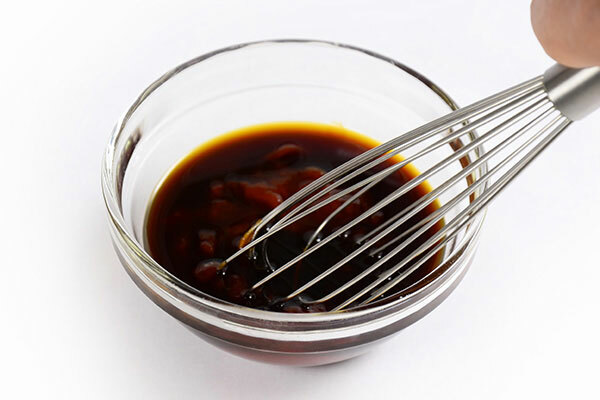 Make the okonomiyaki sauce by mixing all sauce ingredients. 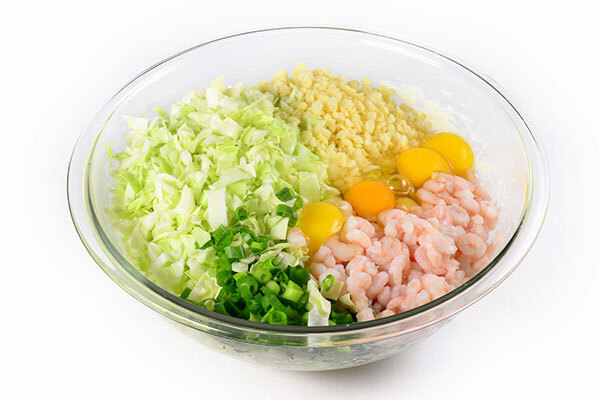 After the batter rests, add cabbage, green onions, tenkasu/agedama, shrimp and eggs to the batter. Do not mix. 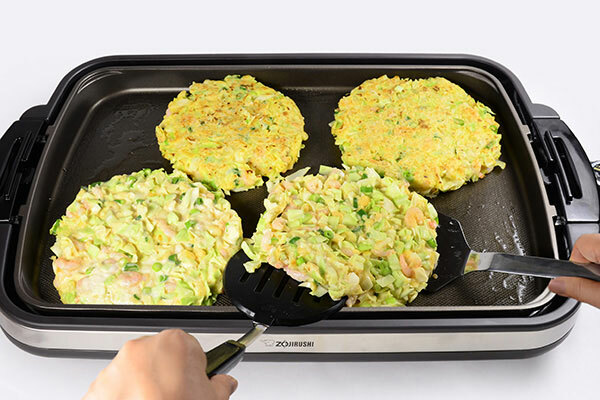 Turn on the Gourmet d’Expert® Electric Griddle / EA-DCC10 to 400ºF and wait until the pilot lamp turns off, use a heat resistant brush and brush hot griddle with vegetable oil. 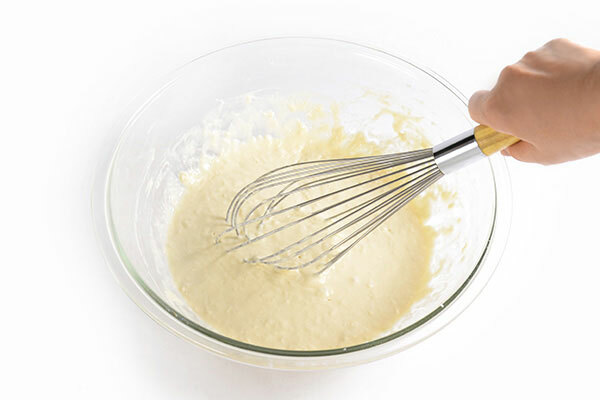 Mix the batter until well combined. Spoon 1/4 of batter to the griddle and make a round shape, 3/4 inch thick. Make 4 total. 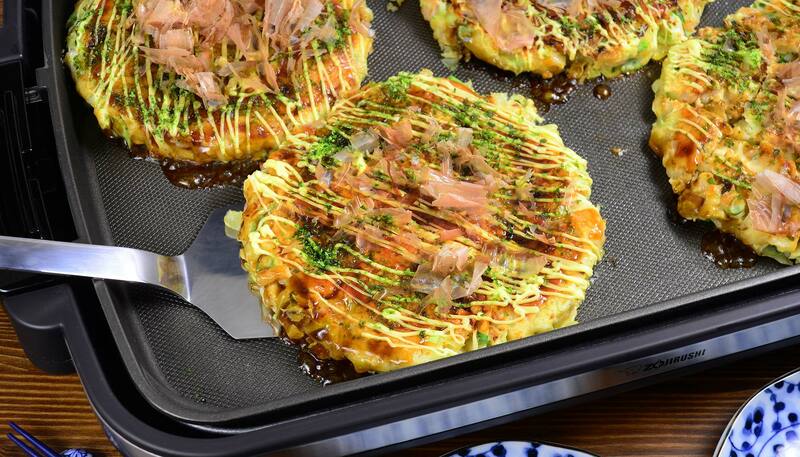 Cook each okonomiyaki for 5 minutes, flip with two spatulas* and cook for another 8 minutes. 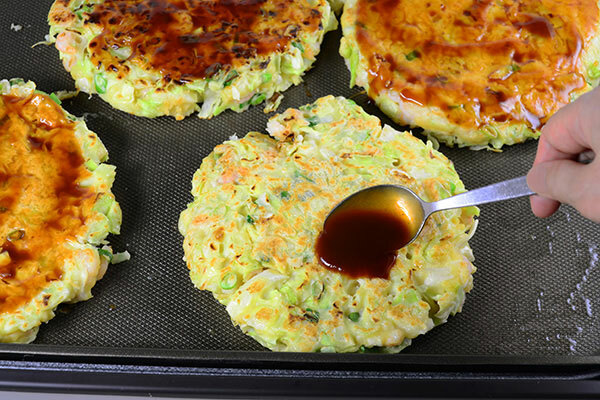 Reduce heat to Keep Warm, spread the prepared sauce over each okonomiyaki. 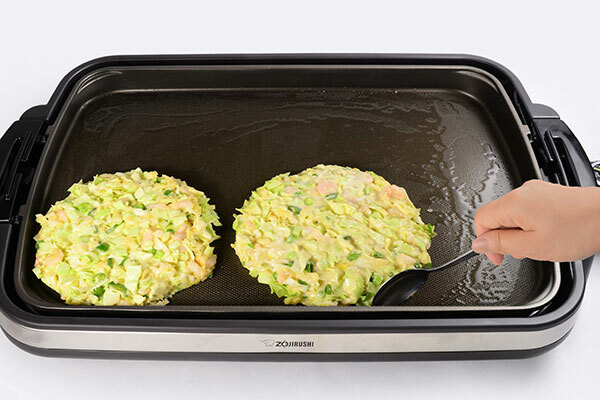 Drizzle mayonnaise and sprinkle optional aonori and katsuobushi according to your taste, gently cut into bite-sized pieces on the griddle with a spatula* and serve from the griddle.